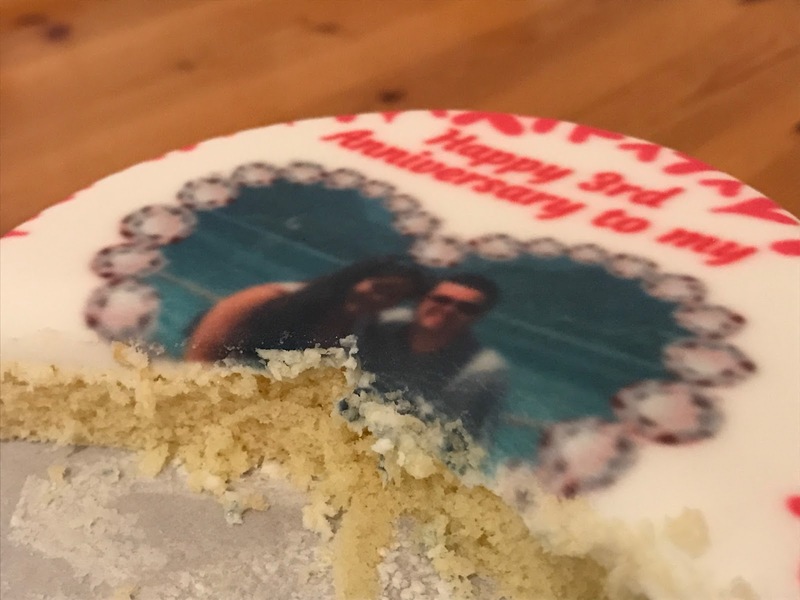 It’s our three year anniversary and what does every celebration need… cake!! However this years cake is a little extra special as I, James took it upon myself to get a personalised cake from bakerdays. It got me a few extra brownie points, a small part of the cake to eat, and a fantastic anniversary. The way it works is if you head over to the bakerdays website, you can choose from a plethora of designs which are categorised by occasion, and then add your own details. 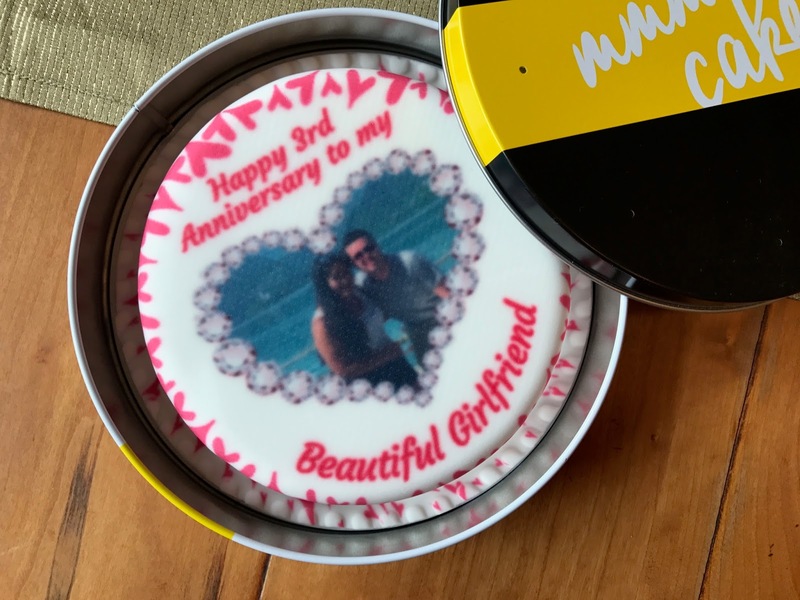 You can include your own text, photos, cake ingredients and the size you would like your cake to be. Plus the option to have the cake gluten free means that everyone can be catered for. What makes bakerdays that extra bit unique is the letterbox cake option, which is the one I went for. We had the cake delivered through the letter box, safely packaged in a box and tin – which looked pretty good itself! Of course that meant the cake was pretty small, so if you fancy something larger, then other sizes are available too. I opted for the classic sponge, but in hindsight would maybe have gone for another option to excite the taste buds a little, but it was all we could hope for in the fact that the sponge was soft and light, and the sponge had a nice taste too. If we could criticise anything, we would have liked to have seen the text and photo more defined and clear – it makes the photos look slightly blurry but they honestly weren’t. Regardless, it is a literally unique cake, and nothing will ever take that fact away. We believe the letterbox cake is a fantastic concept, and is fitting for any loved one or friend’s occasion. It certainly won’t be something we’ll forget and would fully recommend it to anyone! Disclaimer: we were sent this product in exchange for a review. But as always, all our opinions and photos are our own. Hi, what a wonderful idea for a gift and great that it could fit through the letterbox. 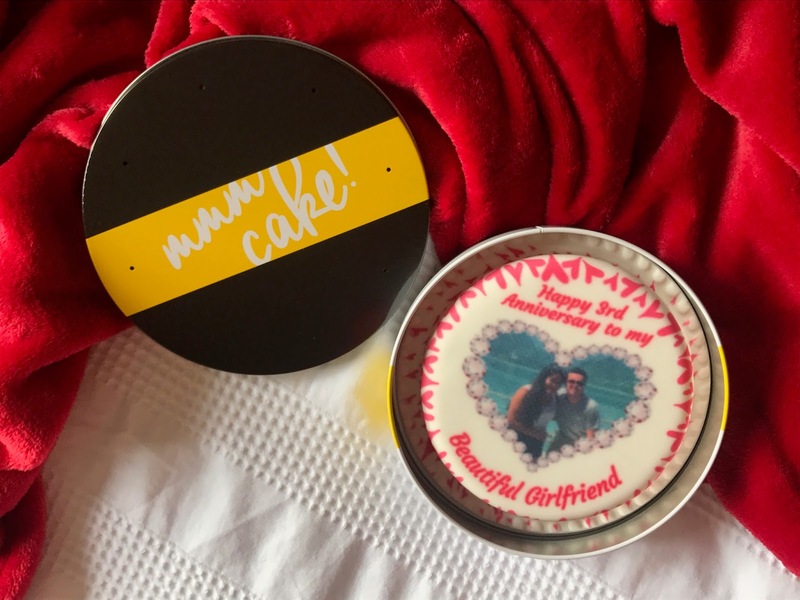 I had a similar vegan cake for my birthday as a surprise whilst abroad and loved it. Happy anniversary! This is such a great idea, I've seen these cakes and wondered if they're worth trying, thanks for the review. So sweet! Such a beautiful idea and I love the idea that it can just pop through your letter box. That's the kind of mail you want delivered (makes a change from bills any way, haha). The letterbox cake sounds like a fantastic idea and definitely a lovely, thoughtful gift. I hadn't heard of the letterbox cake before so thanks for sharing!